Such a cozy photo shoot downtown Rockford, IL - but don't let these photos fool you - it was windy and blustery. But hey, at least I don't have to tell my couples to stand closer together. #bonus. This post makes me want fall, like, now!!! Behind on blogging? Whatever do you mean? It's not like we did these photos in November or anything and now it's April. I digress. 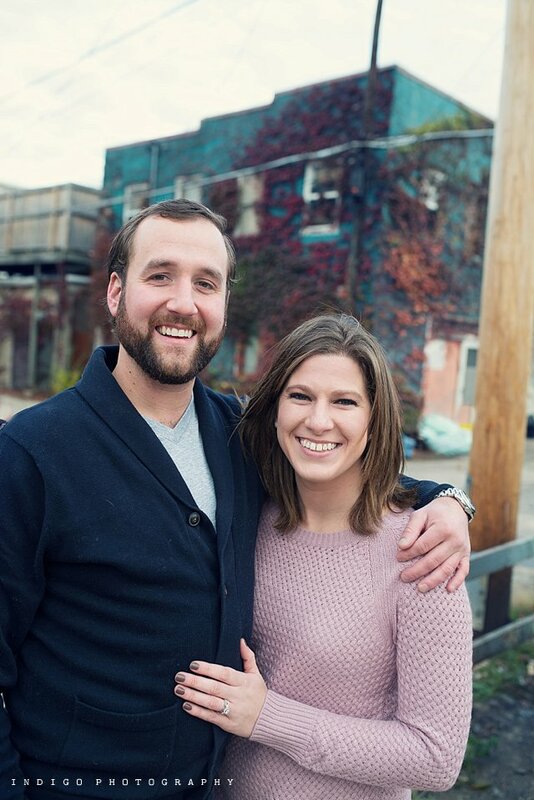 Chad and Sarah are getting married in July and this wedding is going to be a blast! They are a super brilliant and adorable couple and we loved meeting their dog, obviously. Cole, my husband and partner, is in fact, the dog whisperer.